Hi Guys, Cooper Mckenzie here and I am the person behind Mobile Spy Source and I have created this review blog to showcase all the different cell / tablet / desktop monitoring apps one would be interested in using weather it be for employee monitoring, parental control or catching out a cheating spouse. Whatever the case maybe we have it covered and have reviewed each and every cell spy / monitoring app possible, it’s all in one place so you can compare one to another all in the same place without having to go to another website. 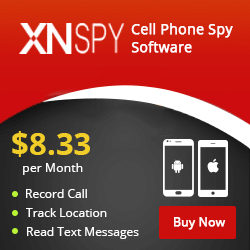 There are a tonne of of mobile spying apps to choose from and finding one that would best suit your requirements can be difficult. We try to make it as clear as possible about which ono to choose. As you will see Highster Mobile App is a fantastic mobile monitoring software and is my all round favourite you have to check out! Hope you like our reviews and content! If you have any questions please don’t hesitate to hit us up here!